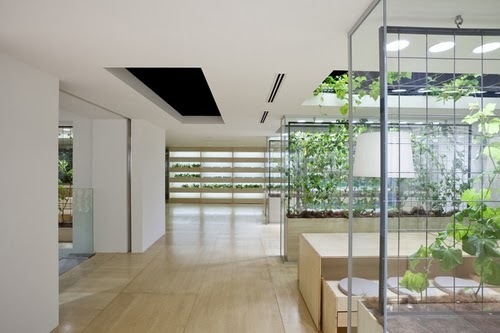 This is a renovation project by Architects Kono Designs. 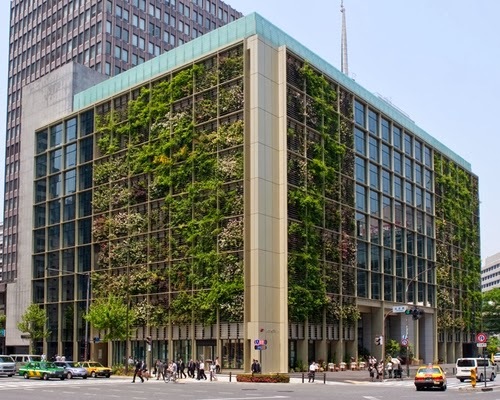 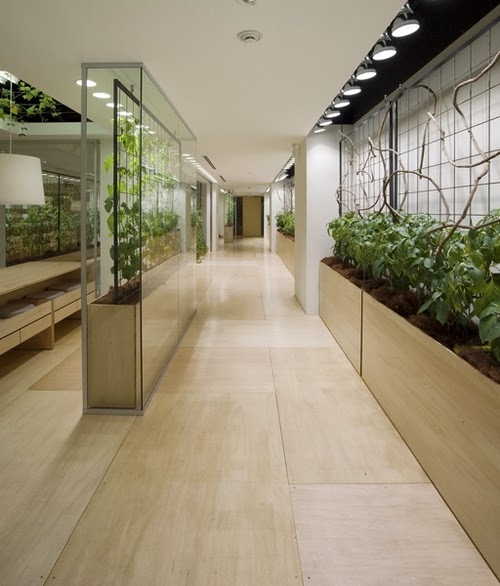 The Client Pasona Group, a Recruitment Company based in down town Tokyo, allocated 20% of area of the building to different forms of Farming. 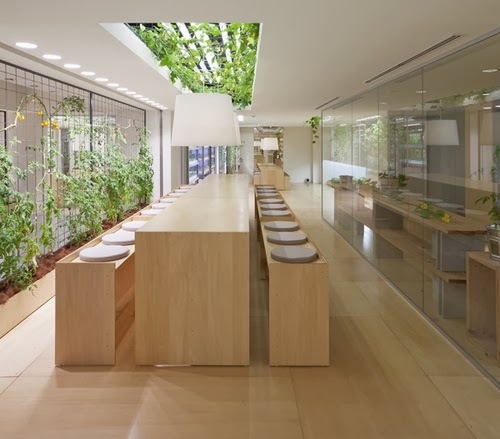 The building has a double skin green façade, internally it includes an auditorium, offices, cafeteria, rooftop garden and interlaced within the building, the farming. 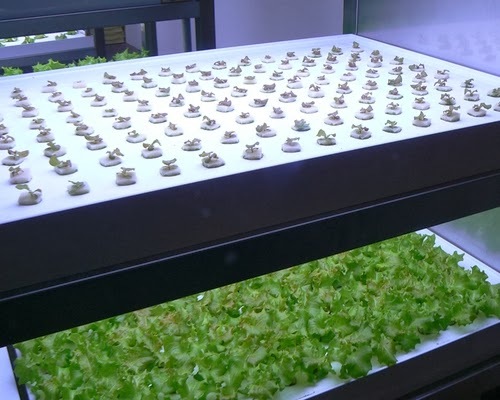 There so much more to say that we have added more information, below the images, in the article and a video. 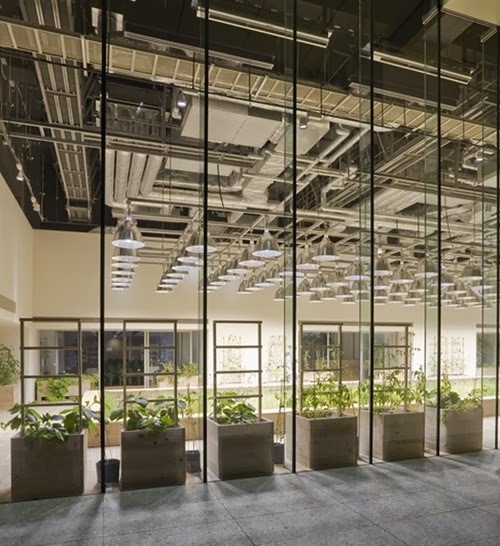 43,000 square feet (3.995m2) of the total 215,000 square feet (19.974m2) are allocated to farming in the Pasona Tokyo Headquarters. 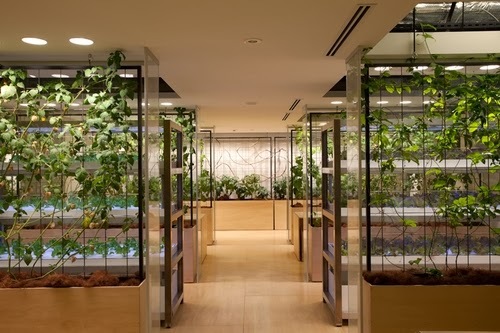 200 different species of plants and vegetables, including fruits rice are harvested and consumed in the cafeteria by the employees. 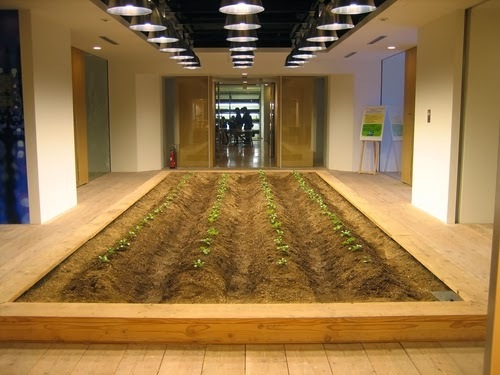 In this animated gif you can see the growing cycle of the rice plants and their harvesting. 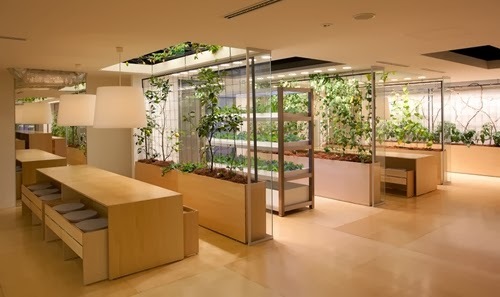 Both Hydroponic and Soil based farming share the space with the office workers. 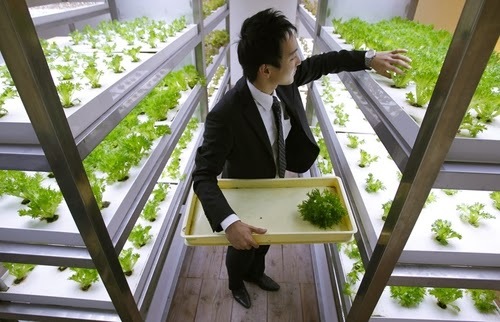 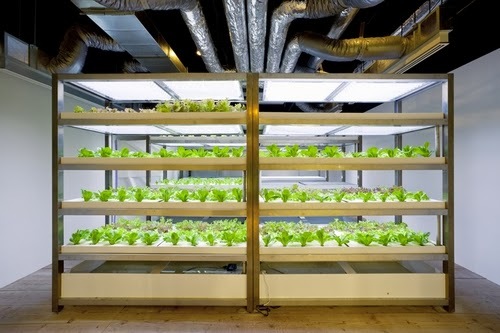 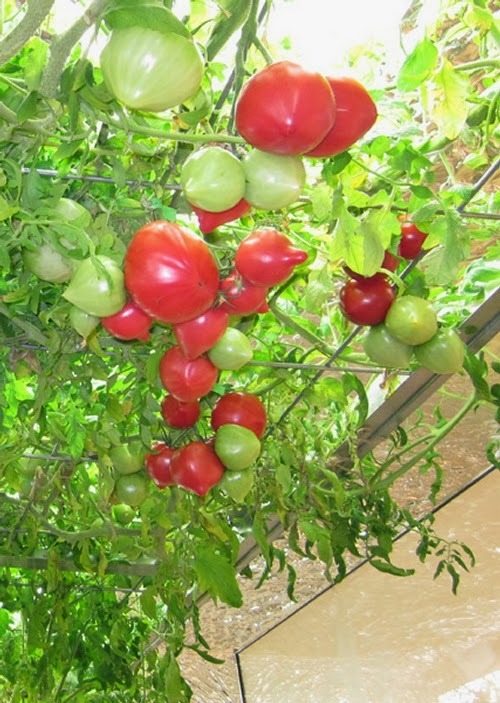 (in the Hydroponic farming, plants are grown in water, with no soil used in the process. 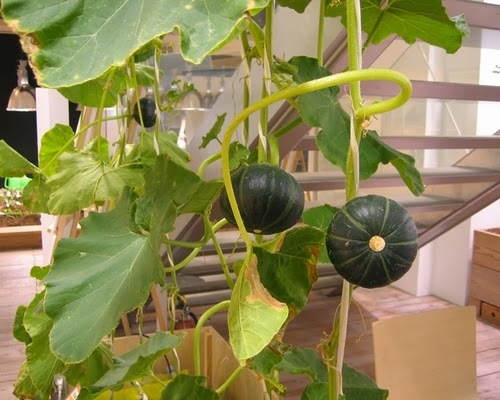 The nutrients is provided by a mineral solution). 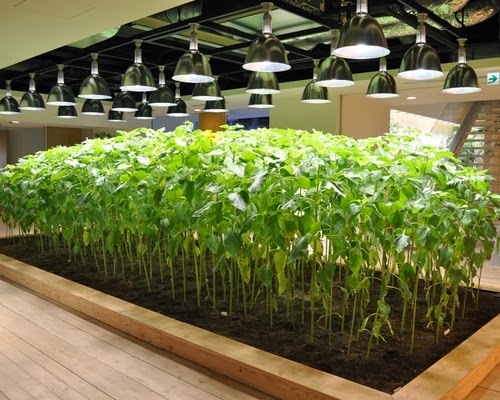 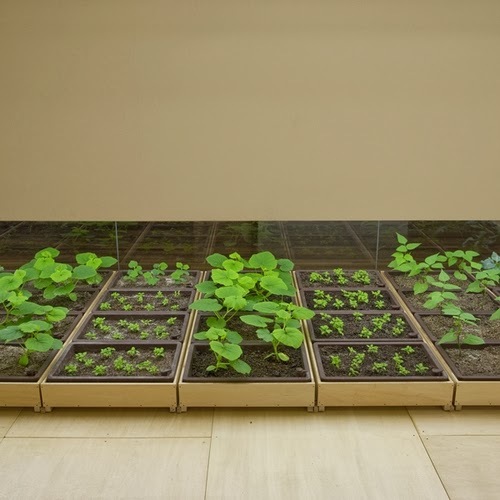 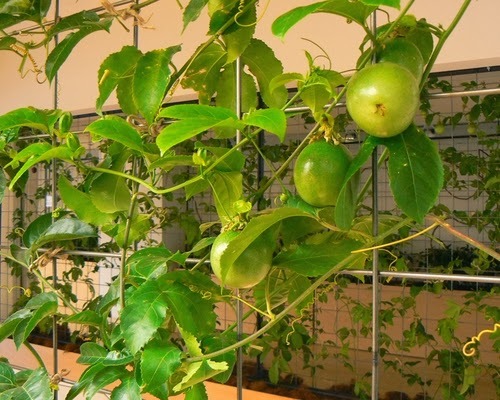 Tomato vines are suspended above conference tables, lemon and passion fruit trees are used as partitions for meeting spaces, salad leaves are grown inside seminar rooms and bean sprouts are grown under benches (see below). 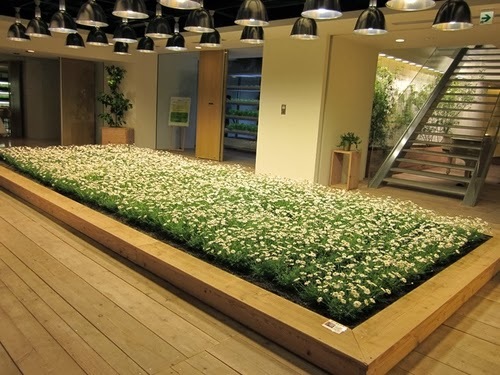 The main lobby also features a rice paddy (see the animated gif above) and a broccoli field. 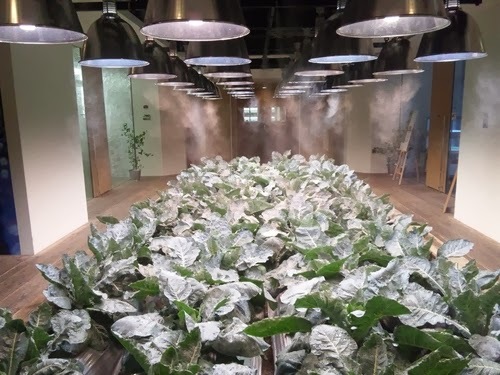 The incredible attention to detail, makes sure that the employees only experience the positive side of having nature in the building and the plants are so well cared for their yields are very good, as you can see in these pictures. 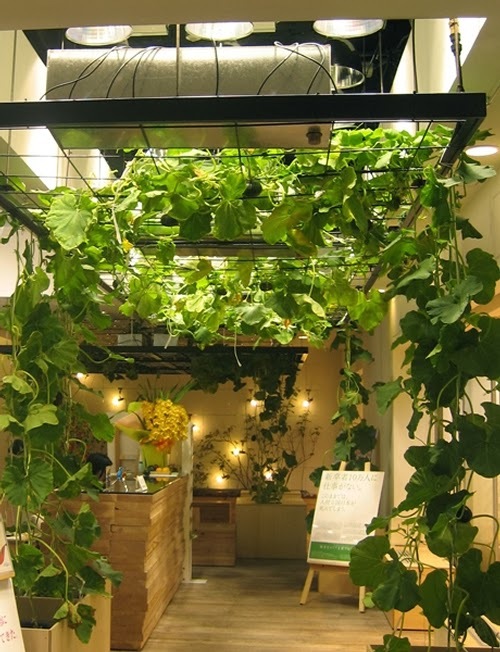 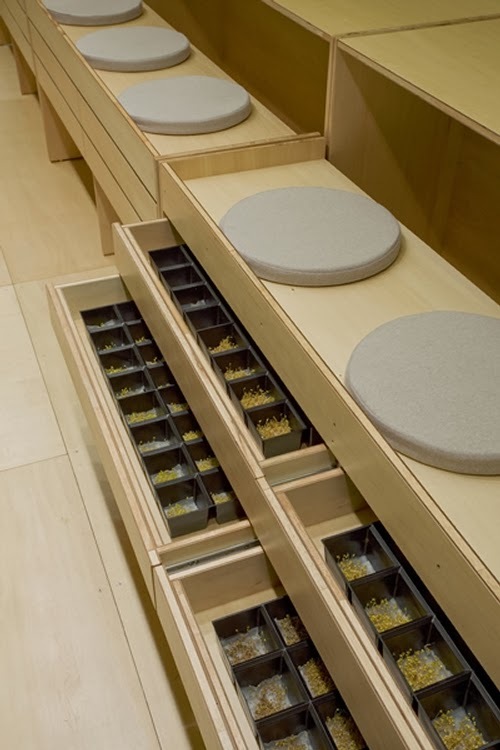 Bean sprouts are grown under benches.